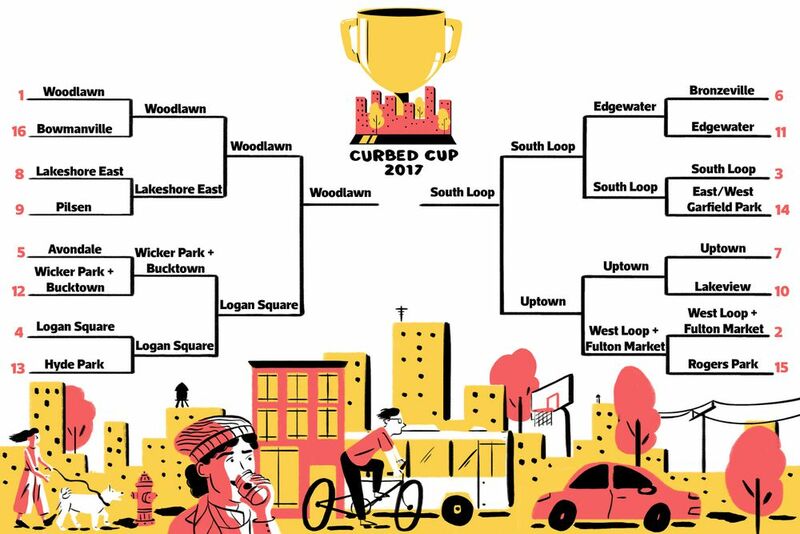 The Sloop's in the finals of the Curbed Cup. Voting is open until January 2nd and the post can be found here. Yesterday we let you know that our readers were super engaged with restaurant opening/closing posts. Today, we take audit of our official Sloopin Business Counter for 2017. 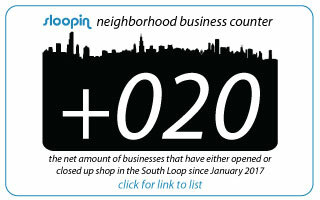 We've been doing this since 2012 and feel it gives a good gauge on how the neighborhood is developing. So the question is...did we miss anything or have any errors? If so please email us. 2017 is almost over and as is customary on this little digital website, we look back at our most popular post as judged by google analytics. The methodology is a little biased as posts from earlier in the year have a chance to garner the most views, but still sheds light on what garnered the most interest. One thing that's clear - you peeps are interested in restaurants opening and closing (we are too!). The suburban sports bar has been relatively well received for its affordable options and bringing a nice beer garden to a relatively bland stretch of South State street. Chicago has its fair share of taco places, but that didn't stop Taco Bell from trying out a new concept to compete with the more "trendy" local taco spots. There is a Taco Bell Cantina in Wicker Park. We haven't heard much about this planned South Loop location, but we'll see if it still opens in 2018. News of Pazzo's taking over the former Jimmy Greens space on South State came fast and furious. The Italian restaurant seemingly opened very quickly which makes sense since the restaurant was in pretty good shape. We haven't tried it out yet, but are looking forward to it. A South Loop resident penned an interesting perspective on whether or not the Taste of Chicago was still a good fit for Grant Park. The writers perspective was no, but many others disagreed. 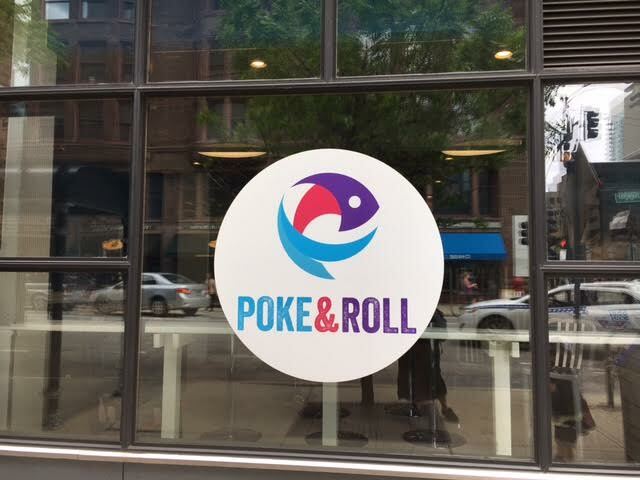 It seems like everywhere we went in Chicago a new Poke place was opening. That trend finally came to the Sloop in 2017. Ameritalia had big shoes to fill taking over the space of the popular Panozzo's. The food was solid, but never really took off with residents of the Sloop. The one post that wasn't food related in our top 10 and frankly ended up not being a very exciting post. Regardless, news of a Swap-O-Rama sign showing up on the building at 1725 S. Michigan garnered some intrigued. A pretty surprising post was the news that Belly Up Smokehouse and Saloon closed after a relatively short existence. The BBQ restaurant was relatively unique for the neighborhood and seemingly would have been a big hit. One additional factor was that the scaffolding for the 1140 S. Wabash apartment building essentially hid the restaurant from sight. Regardless, news of Lowcountry - a popular seafood boil spot in Lincoln Park - is taking over the space. Not surprising that the new Hax garnered a lot of interest in 2017. We had a number of posts on the topic and they all received a lot of views. It was a bittersweet development for the neighborhood. Many cherished the old Hackney's restaurant and wondered why the owners felt the urge to re-concept. A nice bonus for this was that Gordo's Ice Cream bars opened in the space next to Hax. Both restaurants opened towards the back half of 2017, so we will be curious to see how they do after a full year in service. We've been a couple times to both and generally have been pleased with our experience. News of a new restaurant coming to the former Blackie's space was our number 1 story of 2017! Similar to the Hax post, we've posted about this topic a variety of times and they all garnered significant views. Half Sour officially opened on December 16th, so is still a newbie in the Sloop. Regardless, it appears there is some serious interest here. Best of luck to them! Seems like we're experiencing a rash of crimes again. 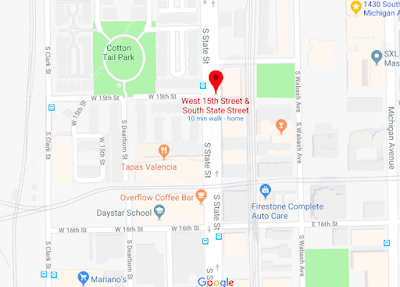 About 8:25 p.m., a 46-year-old man was walking his dog when three men got out of a vehicle and surrounded him in the 1200 block of South Indiana Avenue in the South Loop, police said. The robbers took the man’s belongings and fled north. After the suspect stole his property, the victim - who has a permit to carry a concealed gun - shot the man in the chest, police said. Scary stuff...please stay safe and vigilant. Last night (12/19) the Board of Directors of River City’s owners’ association approved the sale of all of River City condominiums to Marc Realty Capital for $100 million. If you're not familiar with this story, we've posted about Marc Realty Capitals attempts to convert River City from condos to apartments. Nearly two years after a developer first offered to buy all the condos at River City in the South Loop, the homeowners association finally has enough votes to sell, but just barely. The $100 million sale of River City's 448 condos would be the biggest Chicago condo development by far to switch to rentals in the recent wave of deconversions. The next-largest sale by condo owners for conversion to rental entailed convincing less than half as many different owners: Last spring, owners in the 207-unit building at 420 W. Belmont Ave. approved a developer's $51.5 million offer. After a series of delays during the fall when the votes in favor hadn't quite reached the 75 percent that Illinois condo law requires, the River City Condominium Association announced in an email to River City owners last week that owners of 75.87 percent of the River City complex now support selling. Anyway, what do you think? Is this good or bad for the Sloop? Half Sour—the old Blackie's space, oh man am I gonna miss those $1 watermelon shots—had a soft opening this weekend, and holy moly was it good! The new owners didn't mess with the space too much. They didn't have to. They could have, but thankfully they didn't, and it's just about the right brick-and-timber SoLo/Printers Row vibe you'd expect from old stock in our hood. They glitzed it up behind the bar a smidge with soft white Miami Beach tiles and soft LED lighting, they splurged on a few new TVs (I'm not a fan at all, but I also do recognize which city I live in...), and then had their tile guy lay down a new law in the bathroom for good measure. Tables and chairs are also new, and nondescript, and thankfully they didn't mess with that solid, gorgeous bar. 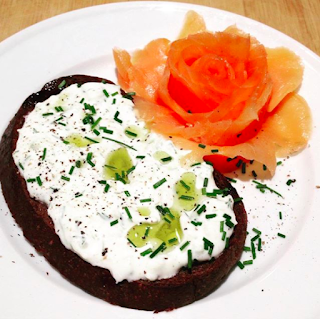 The place seems to be run by fourteen-year-olds—albeit fourteen-year-olds who can cook up some mean food. Good cocktail menu, solid wine list, beers that'll make you smile and quench your thirst, and all at a reasonable price. The menu itself looks deceptively salad- and sandwich-heavy, but my companion and I split a bunch of small plates, all of which were excellent/excellent plus. Fried smelts, pickled beets, a brussel sprouts salad that was crunchy and lip-smacking all at once, and a jar of marinated eggplant to put on your thick slices of toast. It was a perfect meal. I'm definitely looking forward to going back and trying their burgers and other salads and whatever else. When you gaze into their kitchen as you're strolling down Polk, you see a bunch of (gender-neutral) dudes in an exploded science lab working with a few tiny plastic food-grade buckets and a Betty Crocker oven for kids. 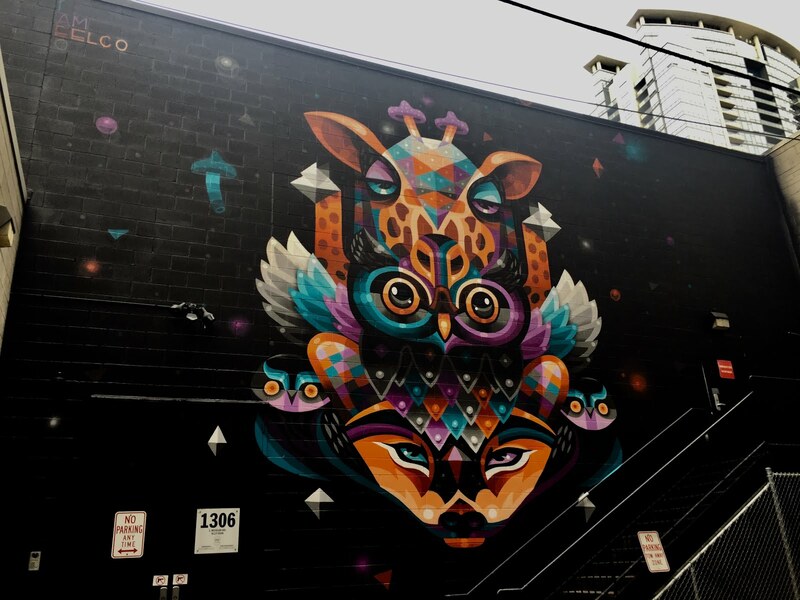 All the more reason to love this new addition to the hood. While in sentimental principle we mourn the loss of another dive-y place in the SoLo—well, Blackie's was no George's. Plus, it still stands, now prouder than ever! 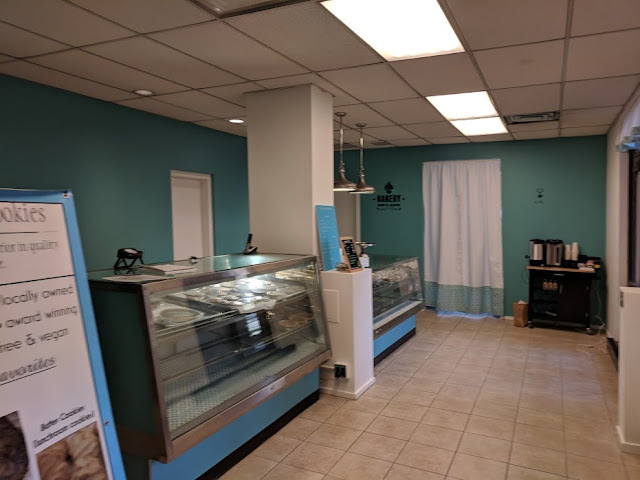 You should write about the new bookstore that opened in place of the pet supply store that closed down in the Roosevelt Collection! It’s a pop up bookstore called Carpe Librum with a whole lot of used books and CDs/DVDs at great prices. It’s run by the folks from the Turning the Page organization. THOUSANDS OF GENTLY USED BOOKS, CDS, AND DVDS ALL PRICED $1 – $4! Turning the Page has a used bookstore and “pop-up” book sales in Washington, D.C. and Chicago! Carpe Librum (“seize the book“) is the name Turning the Page gives their book selling spaces. All books, CDs, DVDs, and vinyl records for sale at Carpe Librum locations are donated by the public and all proceeds go straight to Turning the Page, in support of our programs. A 20-year-old woman sustained a broken leg Saturday morning as she was carjacked in Chicago's South Loop neighborhood, police said. 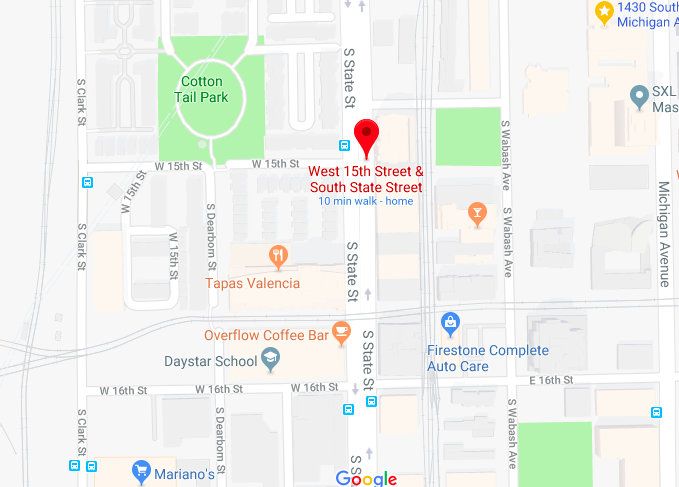 The alleged carjacker grabbed the woman from behind while she attempted to enter her vehicle behind a condo building at West 15th Street and South State Street at approximately 11:53 a.m., police said. The woman sustained head injuries and could not recall details of the incident, police said. Her 2008 BMW was missing from the scene. The building's doorman, Tony Thomas, and several residents rushed to her aid. "When I got out there, the young lady was laying there," Thomas said. "In pain, crying out for help." The woman is an employee of a nearby Firestone Complete Auto Care and was attacked during her break. Half Sour (755 S. Clark) Opening Tomorrow Saturday, December 16th? This just in, Half Sour on Clark to open this Saturday December 16th! 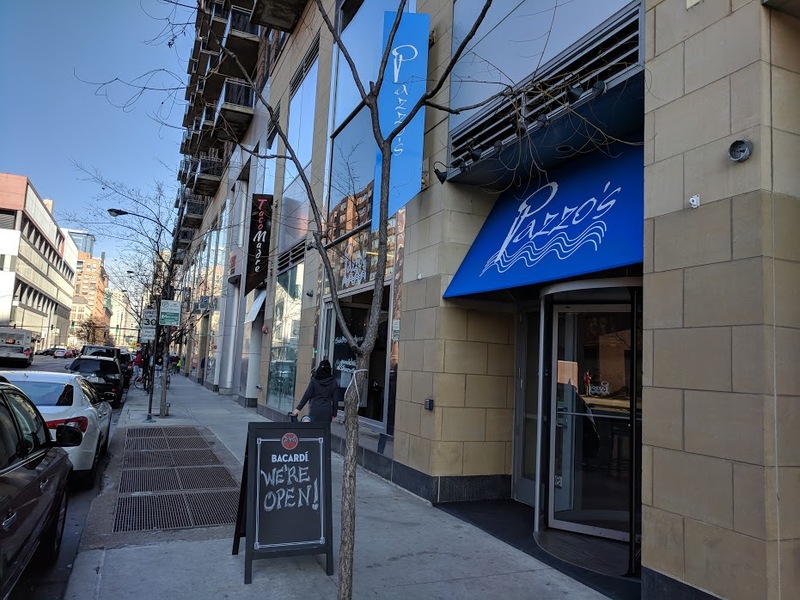 We are excited to share that we met the awesome team behind this new establishment and look forward to being featured on tap for their opening! You can also find Printer's Row Brewing 'Out of Sorts' creamy light brown ale with vanilla bean on tap at First Draft. Kasey's Tavern on Dearborn will also being releasing Out of Sorts this Thursday December 14th at 7 pm. Come have a beer with us. Cheers! Printer's Row Brewing is another great, quality craft beer in the Chicago landscape of ever-growing micro breweries. 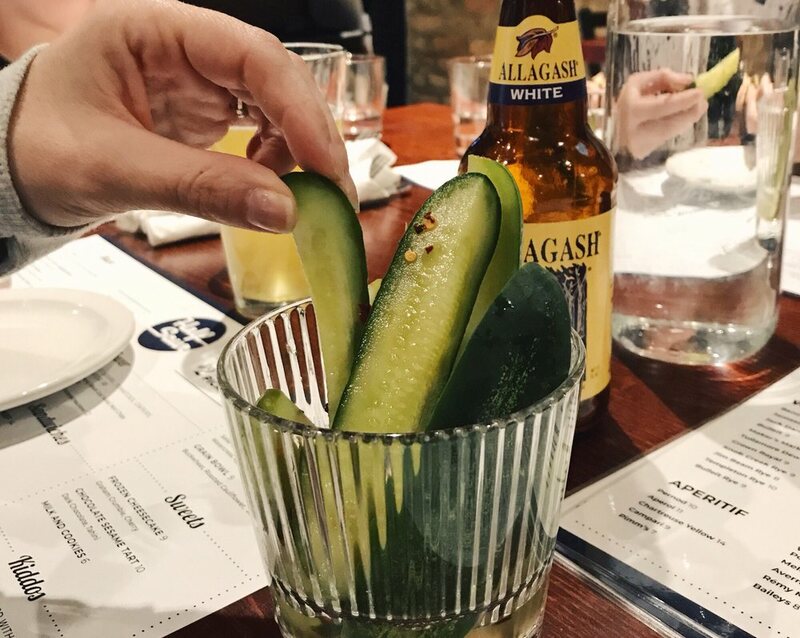 However, we think back to the days of small town or city breweries that cater to their direct and small population, such as our home of the historic, beautiful and unique, Printer's Row, Chicago. It's an area of great local people, business, architecture and history which we love and hope to provide the finest beer for! Looking forward to trying both of these spots! #SouthLoop holiday lights - where are they??? We took a little jaunt around the neighborhood and thought we'd share some spots where we noticed some really spectacular light displays! Areas with a blue outline indicate spots where an evening bike ride, drive, or walk might inspire some holiday cheer among the townhomes and stand-alone homes in the area. And don't forget to look UP! The areas with red outline represent a few buildings where we noticed that quite a few high-rise dwellers took the time to share their festive holiday spirit with the rest of the neighborhood. Hi all! I work for the retail management office at Roosevelt Collection. 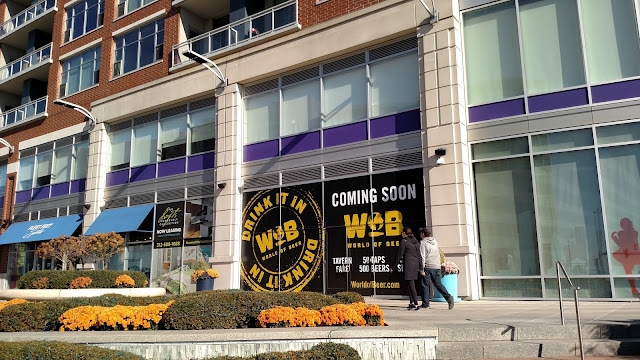 World of Beer is no longer coming, but our leasing team is working on bringing a new restaurant option to that space ASAP that will be worth the wait! I'll share an update in this group when we have news! So it appears that this is confirmed. Hopefully RC brings something good to the spot! 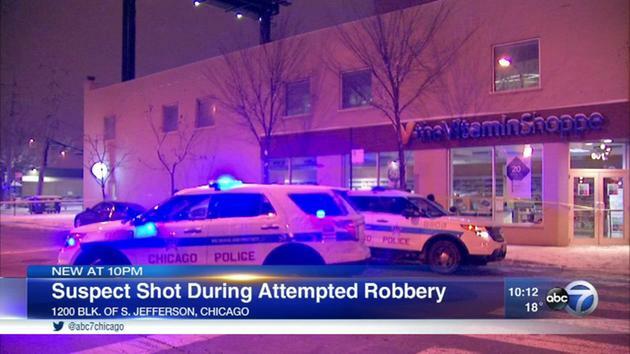 A woman was robbed at gunpoint in her own vehicle Saturday morning in the South Loop, according to Chicago police. It happened around 8:35 a.m. in the 1200 block of South Michigan Avenue, police said. The woman, 32, told police she was sitting inside her Mercedes-Benz sedan when an unknown man entered the car and demanded her purse at gunpoint. After taking her purse, the man got out of the car and entered a black SUV waiting for him and fled, police said. One of the busiest residential developers in the South Loop has found another site for a big project, buying a parcel just a few blocks west of Soldier Field from Columbia College Chicago. A venture led by CMK paid $6.5 million in late October for the property at 1415 S. Wabash Ave., according to Cook County property records. It's a neighborhood the Chicago developer knows well: The site is just a block south of a 144-unit condo tower CMK built at 1345 S. Wabash and a new 305-unit CMK apartment building at 1333 S. Wabash. At 32,400 square feet, CMK's new property could accommodate a large building as well, though it's unclear what the developer plans. CMK President Colin Kihnke did not respond to a call or email. Kihnke has shown a fondness for Wabash Avenue, but he's got even more going on several blocks northwest, on a riverside tract between Congress Parkway and Roosevelt Road. 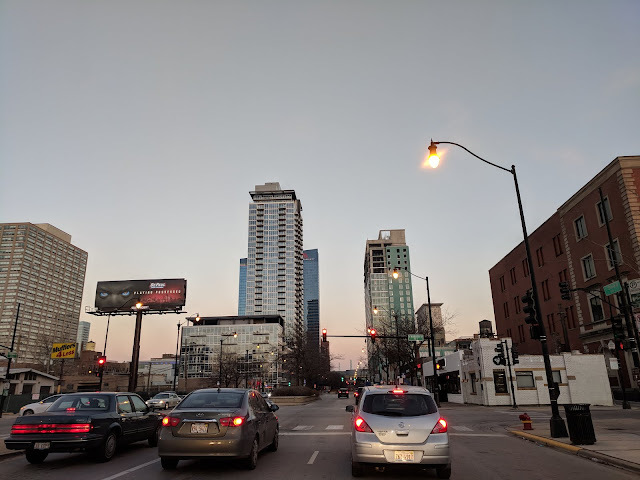 A CMK joint venture is building a 452-unit apartment tower at 726 S. Wells St. and plans a 340-unit condo-and-townhouse project nearby, the first buildings within Riverline, a residential development that could encompass more than 3,600 homes. Should be interesting what transpires here. Seems like it would be a complete tear-down...obviously. An outcry from parents — and the highest possible academic rating— could not save the National Teachers Academy from being closed in favor of a new neighborhood high school serving parts of the South Loop, Bronzeville, Bridgeport and Chinatown. The Chicago Public Schools made that clear Friday, finalizing school closing and consolidation decisions previously on the drawing board and at least one new action. Under the plan, the elementary school would be phased out over several years. There has been a lot of discussion around the neighborhood about the topic and we doubt this is the end of that debate (although it sounds like CPS has made their decision). Well folks - we are late our annual Holiday Train post and that means there is a decent chance you missed the festive activity rolling through our South Loop stations. Sorry about that. As you can see in the picture above, their windows were open and they were handing out menus. We spoke to one of the people and they said it's a limited menu, but looked pretty good to us. We also took a quick glimpse inside the place and it looked relatively familiar. The orientation of the place hasn't changed at all, but it does look like some of the "modern sports bar" touches are no longer there. That being said, it did look like many of the TVs were still operating. Has anyone tried them out yet? Let us know. Once home to Chicago-based Ebony and Jet magazines, South Michigan Avenue’s 11-story Johnson Publishing Building is preparing to start its transformation from office space to 150 rental apartments. Today, developer 3L Real Estate announced that it has acquired the old building from Columbia College and expects to start work on the conversion in early 2018. 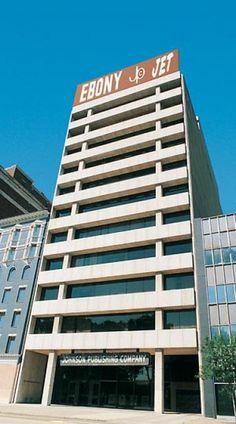 Built in 1971, the tower was designed by John Warren Moutoussamy, an architect who studied under Mies van der Rohe at the Illinois Institute of Technology. The tower represents the first and only downtown Chicago high-rise to be designed by an African American. Vacant for the past seven years, Johnson Publishing was designated a city landmark earlier this fall. Its new owners intend to leave the tower’s iconic Ebony/Jet sign at the building as well as add a new rooftop deck. The 150 unit mix of studio, one-, and two-bedroom apartments will average over 500 square feet and rent for between $1,200 to $2,700 per month, says the developer. It's not a surprise that more and more residential living options are coming to the Sloop given all the reasons we love living down here. That being said, it seems like an insane amount of inventory will be available in the next 3-5 years. Even if there is a bubble, we favor this type of activity versus a more cautious approach. Having more and more living options will naturally mean more people and more neighborhood amenities (shopping, restaurants, etc).